A jewelry basic, swirling sterling links highlighted with glimmering white diamonds becomes the perfect addition to your wardrobe essentials. 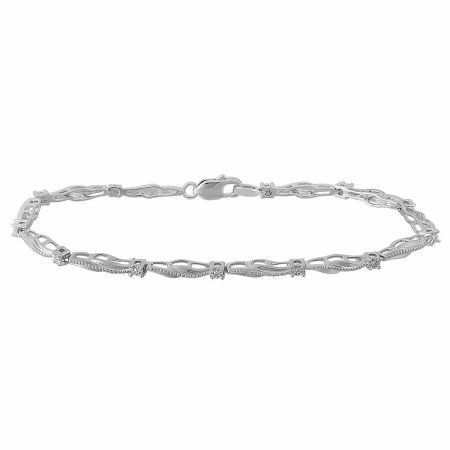 Shiny 7½-inch .925 sterling bracelet fastens with a lobster claw clasp. Petite diamonds have a .02 total carat weight; clean with soft polishing cloth.